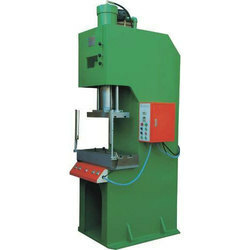 Leading Manufacturer of c frame hydraulic press from Bahadurgarh. We feel pleasure to serve you our product of "KESHAV" Brand Machine's "C" Frame Hydraulic Press. We manufacture this machine up to 300 Ton capacity.